It’s the summer: do you need something to read by the pool or on the beach? In my experience, small business owners find it very difficult to switch off, so why not make the most of your flight or “down time” (such as it is – I know how busy you are!) and read something that will improve your business blog. Here are two great books I have read recently that I think you will enjoy. 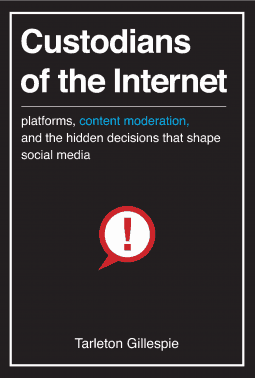 Custodians of the Internet: Platforms, Content Moderation, and the Hidden Decisions That Shape Social Media by Tarleton Gillespie (Yale University Press, 2018) is the first book I’m sharing with you today. Ignore the rather boring cover – it’s not just a book warning you about the dangers of operating online. Make sure you are transparent about how you use your customer or community data. No surprises! Be conscious of the active decisions you make when moderating user comments on your blog or other social channels. The book talks about how social media platforms police what we share online, and what impact that has to our feeds and to society more generally. It is quite academic in tone and heavy going in parts, but don’t let that put you off – it’s no more difficult to read than any of the other ‘pop science’ or business books you’ll find on the shelf at Waterstones. It’s a fascinating look into the world of social media in particular. It’s more about communities than content marketing i.e. blog articles, but social sharing messages are also content, just a lot shorter! The book will change the way you think about moderating content on your Facebook page, membership area, customer comments or company reviews on Glassdoor, TripAdvisor etc. 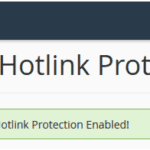 It talks about the balance between freedom of speech and protecting users. It’s a really interesting look at how moderation works and how AI is becoming more prevalent. The way that platforms organise, select and present content is a choice. You can replicate this in your own customer forums. The choices made are, as Gillespie puts it, “the commodity”. The choices are designed to capture attention, to keep people scrolling and engage users. The more the platform learns about the individual, the more it can shape advertising and personalised recommendations. … [C]ontent moderation is also a lived experience. Every deletion or suspension involves specific users; every rule draws a line through a community, that then adjusts around it. …I want to consider moderation from the user’s perspective, not just in the moment of being harassed or flagging content or having a post removed, but as a lived and ongoing negotiation with the platform—sometimes a negotiation with the interface, sometimes a negotiation with the company itself, and sometimes a public reckoning about our shared values. Gillespie warns that if people aren’t aware of how their data is used to shape their experiences on social media, they’ll be “taken aback” when their data is used in ways they didn’t expect. 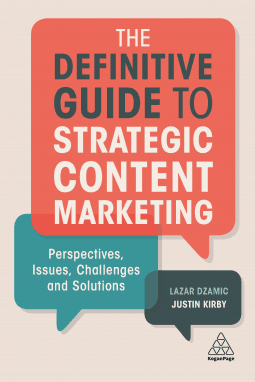 The Definitive Guide to Strategic Content Marketing: Perspectives, Issues, Challenges and Solutions by Lazar Dzamicand and Justin Kirby (Kogan Page, 2018), is the next book to add to your holiday reading. Write, write, write: Search engine results drive traffic to your website. But you need to be in the search engine results. Create blog articles that speak to what your customers are searching for and get in the game. Content definitely has a role to play in conversion, especially when you use content to get access to a piece of valuable customer data e.g. email address. Content marketing must be strategic. In other words, don’t write whatever you feel like. Write what supports your strategic goals and supports your business. Think before you write! This book is about getting an overview of the kind of impression your content is making. It is hugely detailed and researched, aiming to be a comprehensive view of what content is and how it supports business. It is definitely anchored in the bigger picture, going beyond blog content and talking about the whole of your digital marketing assets. While it won’t help you do a content audit of your own blog content, it can help set what you are doing in context and give you confidence that you are on the right path. The book has the lofty ambition of bringing together the debate about content, in all its forms, in one place. But in my experience, these debates resonate far less with business owners and far more with marketing theorists. So some of this book will – let’s be honest – feel unnecessary and impractical. 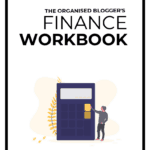 I took a lot of notes from this book, and felt there was a lot that could be applicable to small business bloggers. For example, the authors talk about the Hero, Help, Hub model of content, which is a great foundation for any small business blog, or content archive. Hero content is content that emotionally resonates with the audience. Help content serves a purpose and answers a specific customer question. Hub content is the place where your company can create an ongoing dialogue and become a trusted friend or adviser. I’ll cover this in more detail in another article. I enjoyed some of the case studies in the book; others I felt didn’t add as much. I also personally didn’t get much from the chapter focused on rebutting the idea of content marketing, saying that it is nothing new. I get that the authors wanted this to be a comprehensive book, but I didn’t think this section added much. There is an interesting discussion on the role of ethics in content marketing and references to up-to-date examples like Cambridge Analytica and the concept of ‘fake news’. What books are you packing for your summer reading? I received advanced review copies courtesy of the publishers and Netgalley.